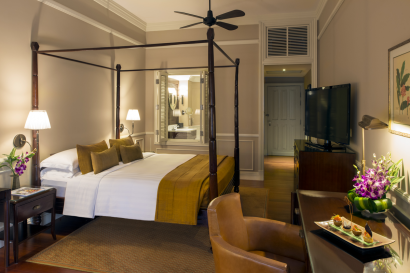 Five Star Luxury Hotel, one of Asia’s essential destination hotels, Raffles Hotel Le Royal has been the iconic resting place for the well travelled since 1929. 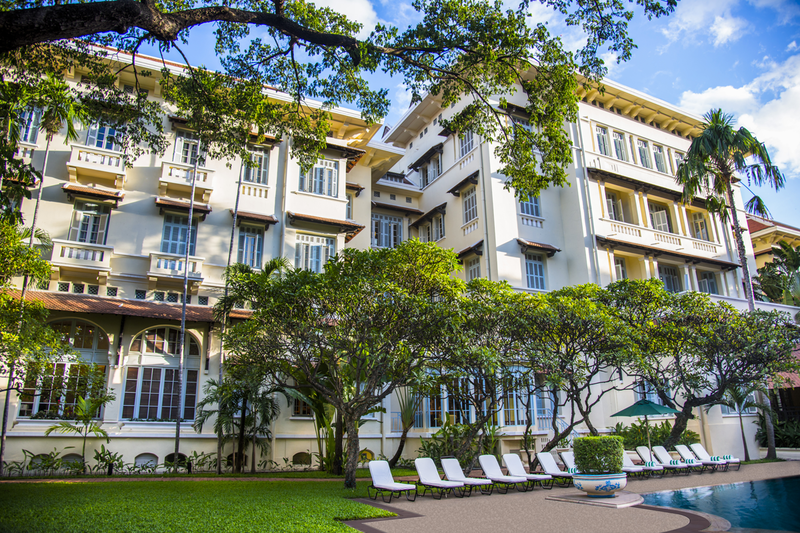 An imposing statement of Khmer, Art Deco and French Colonial style, Hotel Le Royal originally opened its grand doors in 1929. It reopened as Raffles Hotel Le Royal in 1997 after a sensitive extension and refurbishment. To protect this piece of Cambodian heritage, local artisans were commissioned to recreate painted ceilings, decorative beaten copper crests and outdoor sculptures. 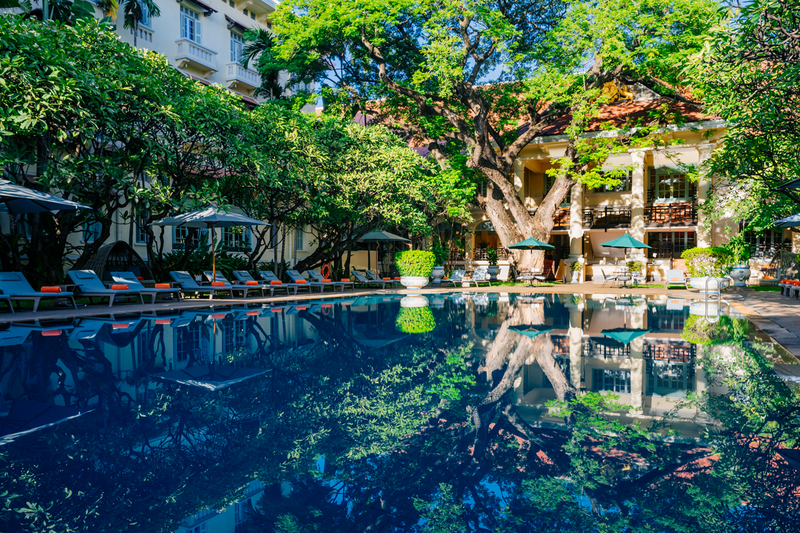 Raffles Hotel Le Royal is built around a central private courtyard, with two swimming pools fringed by Frangipani-lined tropical gardens. 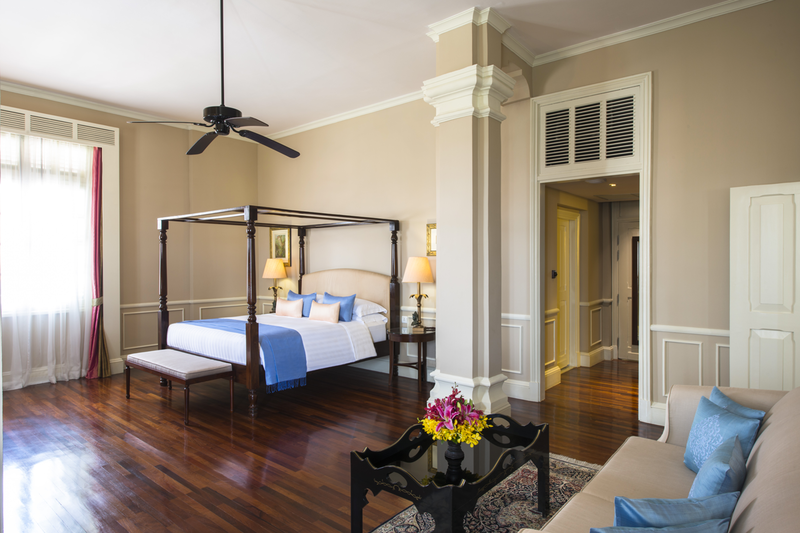 Raffles is very much part of the history of Phnom Penh. 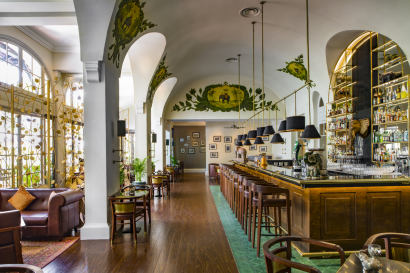 It has stood for 90 years and its walls reflect many of the times it has witnessed, yet while it honours its past, the hotel embraces the city’s dynamic future, continuing to be a focal point of the capital’s business and social scene. 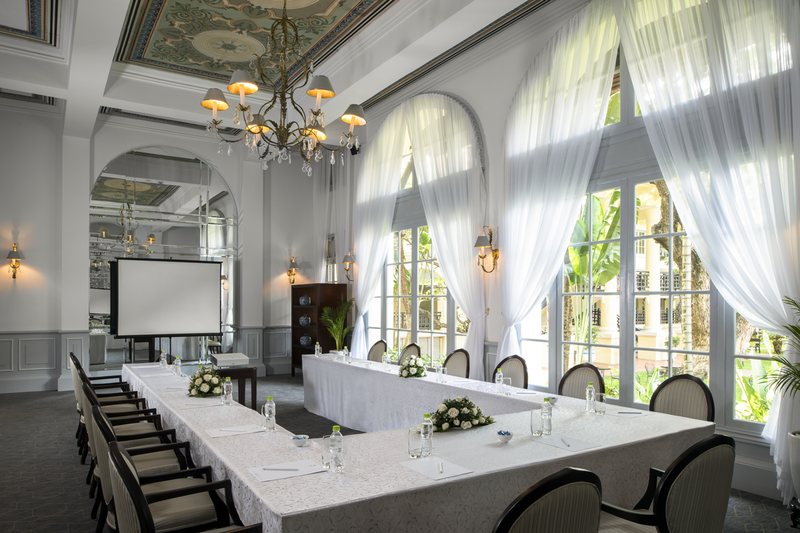 Dating from the 1920s, distinguished by its blend of Khmer, Art Deco and French colonial architecture. 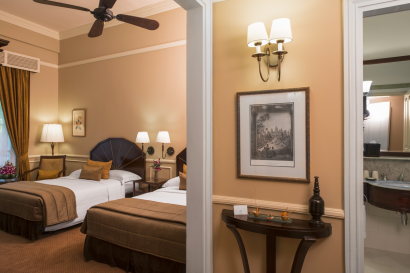 The hotel commissioned a local traditional Khmer artist’s studio to create painted ceilings, decorative beaten copper crests and outdoor sculptures. The buildings that make up the hotel are set around a large courtyard that encloses two swimming pools and private gardens. Located in the heart of Phnom Penh, Raffles is just 30 minutes’ drive from Phnom Penh International Airport and barely 5 minutes from the Mekong River Cruise Terminal. 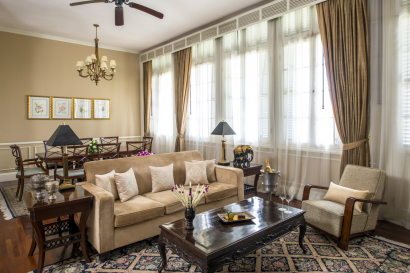 Its location in the city puts you within easy reach of Phnom Penh’s top attractions, including the Royal Palace, National Museum, Russian Market and the Riverside Promenade. We offer 175 rooms, apartments and suites, each tastefully appointed with Art Deco-style furnishings and Cambodian objects d’ art. • Interconnecting rooms are available on request. A relaxed café-style restaurant with the option of dining on the outdoor terrace. 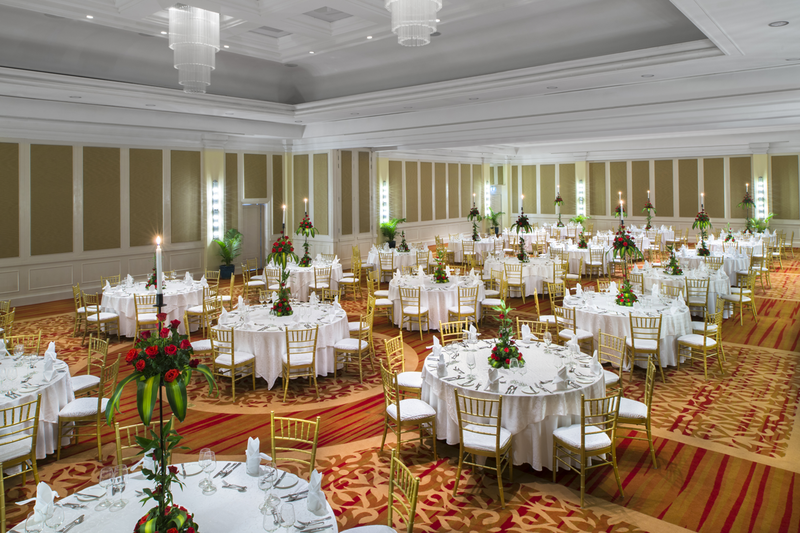 Offers an extensive buffet breakfast and international dinner buffet or a la carte. 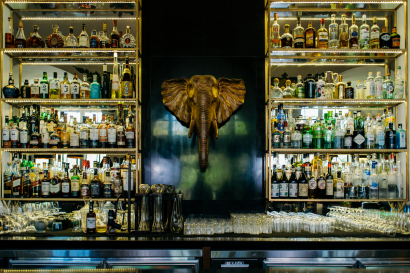 A trip to Phnom Penh is not complete without a visit to the famous Elephant Bar. An institution in the city, it is also where the famous Raffles Afternoon Tea is served. The bar stocks a full range of wines, beers and spirits including one of Asia’s largest selection of gins. It’s signature cocktail is the ‘Femme Fatale’, created especially for Jacqueline Kennedy during her visit to Cambodia in 1967. The bar offers leather couches, restaurant seating and seats at the bar. You also have the option of relaxing on the balcony overlooking the tropical Elephant Bar garden. The Writer’s Bar honours literary luminaries such as Andre Malraux and Somerset Maugham, both of whom have been our guests. Offering an impressive and comprehensive list of beverages, it is also where Afternoon Tea is served. Located beside the sanctuary of the swimming pool, the Poolside Terrace is the ideal place to relax in the shade of the fragrant Frangipani trees. Cool off with chilled beers, wine and tropical cocktails which are served with tapas and light meals. Our attentive pool attendants will serve you right at your sun lounger. During the dry months of November through to March, we open up our tropical gardens to stage the Apsara Terrace. 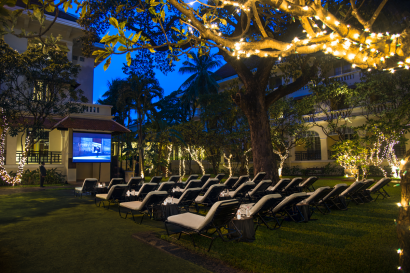 A ‘must-do’ in Cambodia, enjoy an extensive market-style buffet dinner with a wide selection of Cambodian and pan-Asian dishes while you are enthralled by a performance of Cambodian dance. considered and authentic treatments are offered with charming and graceful finishing touches. Connected to Cambodia and the world, we offer a range of traditional Khmer and modern treatments. For over a century, Raffles hotels have been known as the meeting place for great minds; very special places where imaginations can take flight and inspiration arrive. In designing our hotel, Raffles has created the finest address in Phnom Penh. It is the perfect venue for any event, where the only limitation is your imagination. Create unforgettable memories with us. Everything you’d expect – and a few things you might not. 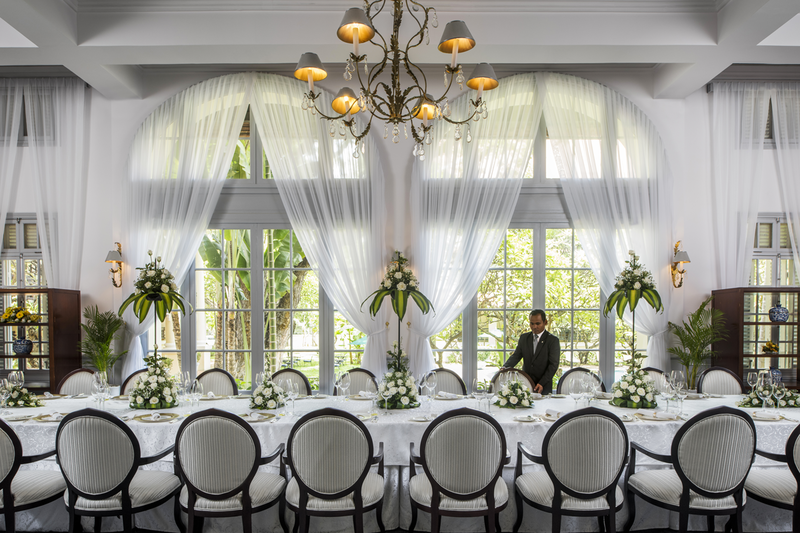 Raffles Hotel Le Royal welcomes special requests.